La Manga Club remains one of the leading all year round leisure resorts in Europe. Conveniently located on the South East Coast of Spain using either Murcia (20 min) or Alicante (60 min) airports, the exclusive La Manga Club resort offers a relaxing holiday set amongst the Murcian hills with full sports facilities available including golf, tennis, football, cycling, horse riding, water skiing and sailing. The resort also boasts a beautiful spa and there is a mini club and football and tennis academies for the children. The villa is situated in the popular El Rancho Community amongst spacious landscaped gardens. There is a beautiful green in front of the villa and it is very close to one of the nine community pools making it an ideal location for families and couples alike. The villa also benefits from winter sun making it ideal for winter breaks. Residents are entitled to discounts for golf and tennis. La Manga is a holiday resort for all the family. La Manga Club Facilities: Something for everyone at La Manga - 3 championship golf courses (it is advisable to book golf in advance to avoid disappointment), and handicap certificates and soft spikes are required. Golf tuition may be booked in advance at the academy. There is also a superb par 47 pitch and put course. Regular golf competitions are open to visitors. 22 tennis courts with top class tuition many floodlit. Also available paddle tennis, gymnasium, luxury spa (for the ladies whilst hubby plays golf), sauna and jacuzzi, bowling green, crazy golf and cycle and quad bike hire. There is also a mini-club which operates for children from 6 months to 12 years as well as tennis, golf and football academies. Other Facilities: Within the club there are a large number of restaurants or bars to choose from. The Hyatt Hotel offers entertainment till late. Also on the complex are designer clothes shops, supermarkets, banks, post office, chemists and a doctors and dentist surgery. 5 minutes from the club is the small Spanish town of Los Belones with a number of superb restaurants and bars. Guests Comments: Just a quick note to say thank you for letting us stay at the lovely villa in La Manga. Would be more than happy to recommend Villa and La Manga resort as a whole to our friends. The villa has reverse cycle air conditioning in the lounge/dining area and bedrooms; this will maintain a constant temperature in both summer and winter. The double bed in bedroom 1 can be made up as 2 singles if required making it ideal for golf rentals. The villa has a flat screen TV with cinema surround. IPods can also be played through the TV (appropriate leads must be brought with you). Spacious terrace off the lounge area for outdoor eating with built in BBQ. Large roof terrace for additional dining and private sunbathing with magnificent views across the club towards the Mar Menor. The villa is set amongst spacious gardens and within easy walking distance to the shops and restaurants. The villa has been tastefully decorated. Smoking is only permitted on the outside terraces and roof terrace. Having stayed in several properties over the past 9 years on the la manga club site, this was definitely the one that suited our needs the most. It is in a lovely quiet position with easy access to the pool. There was no fighting for sunbed even during this busy time. My children are older teens so enabled them to nip in and out as required. The position is only a short walk from Bellaluz which supports a supermarkets and lively entertainment most nights. It is also an easy walk to the tennis centre and othe facilities. We played tennis, golf and went mountain biking and the facilities are all excellent. I would pre book bikes at busy times but bike shop really helpful. Loads of information in the apartment and all items for a perfect holiday are catered for. Having beach towels provided was also a big plus. Would definitely recommend and we would definitely book again. A great villa, a real home away from home. Good size and very comfortable. Nicely furnished, with everything you could possibly need. Very effective air conditioning and ceiling fans. Fantastic position in the beautiful community of El Rancho. Situated in between two of the many pools in the community. Short walking distance to Bellaluz Square, where there are a number of bars, restuarants, shops etc, including a great little supermarket and pharmacy. Owner has been very friendly and helpful throughout the whole process. We definitely hope to return very soon. FANTASTIC VILLA – AND SURROUNDINGS! We came and stayed here for a week in November – I can't recommend this place more highly enough!!! Its a perfect home from home!!! The weather was still good and warm during the day. The welcome pack was brilliant – and lots of information was available at the villa. The La Manga Club was very nice, supermarket and lovely restaurants within 5 minute walk – we ate in the Owners Club, and the food was fantastic, and they officially make the best gin and tonic ever!!!! Everyone was really friendly in the shop and always pointed us in the right direction. We hired a car and drove to Murcia, had a mooch around, and also went to 2 spas nearby. Believe me, the driving was easy, the roads were very quite and all dual carriageway, you can't fail!!! We have booked already again but in October for 2015 – and frankly can't wait, this is one place we will be putting on our holiday getaway list yearly!!! Fantastic villa in great location. We have had a lovely stay in this fantastic villa. The location so close to several pools was perfect for the children. The villa is very well maintained and was a real home from home with the TV/ video/ washing machine and dishwasher if needed. The management team were very friendly and helpful and the information supplied by Wendy the owner was brilliant. We would love to return and would recommend to anyone. 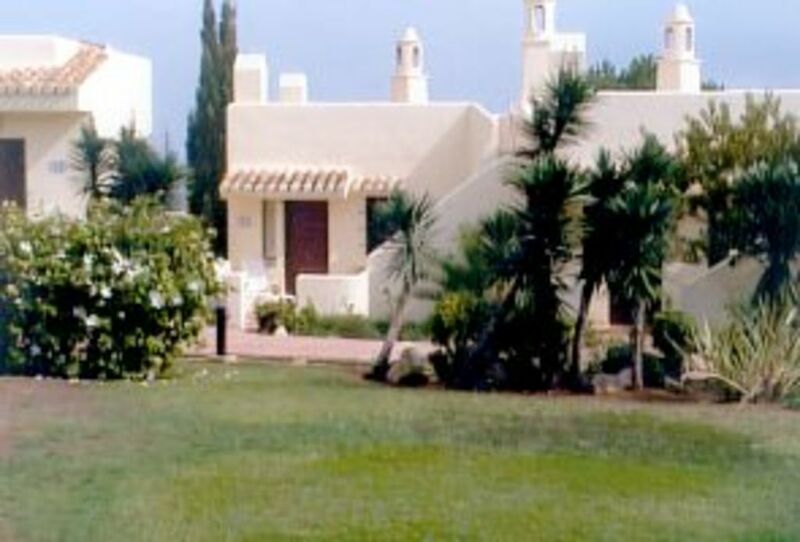 El Rancho 103 is located on the exclusive La Manga Club resort on the south east coast of Spain. Reached via Murcia or Alicante Airports and set in the beautiful Murcian hills between the Mediterranean Sea and the Mar Menor. A truly unspoilt region of Spain. Rental costs include grocery welcome pack (minimum stay 7 nights), electricity, air conditioning/heating, bed linen, towels (bath sheets) and a mid stay clean with a towel and linen change for bookings of 2 weeks. BEACH TOWELS ARE ALSO PROVIDED. Our local management company are available 24 hours a day for emergencies. Arrival time at the villa is 4.00pm with vacation at 10.30am.